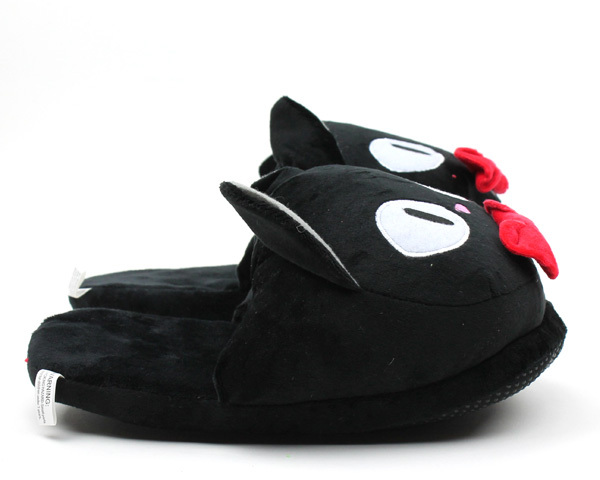 These adorable black cat slippers come from the imagination of Hayao Miyazaki. 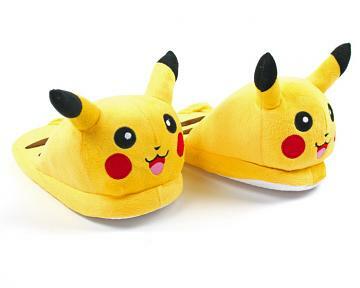 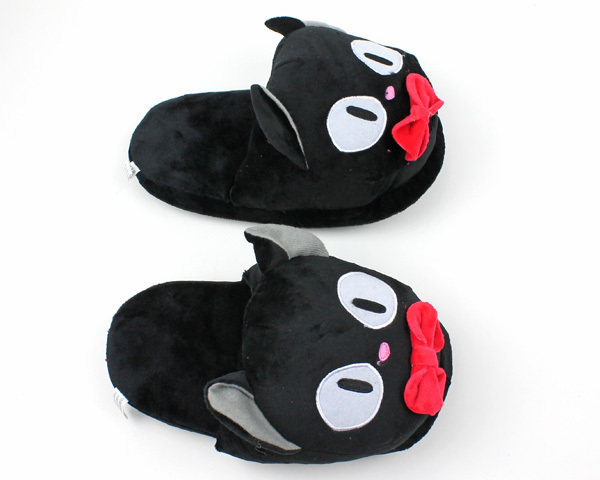 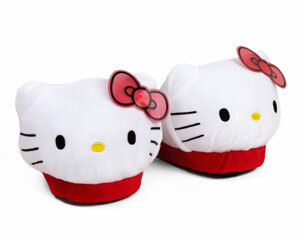 Modeled after Jiji the cat in Kiki's Delivery Service, these anime cat slippers are as fun as they are comfortable. 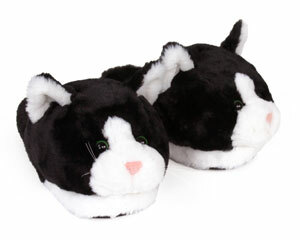 Big eyes and a bow-tie accent the soft, plush construction. 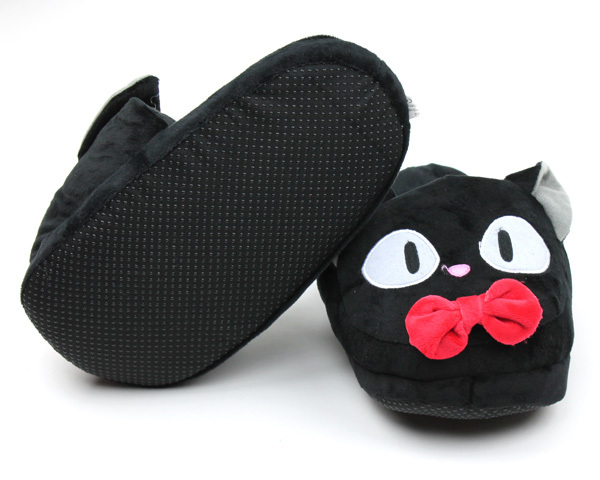 A soft footbed cradles your paws and the thick upper keeps your toes warm as you fly around with Kiki on her broomstick. 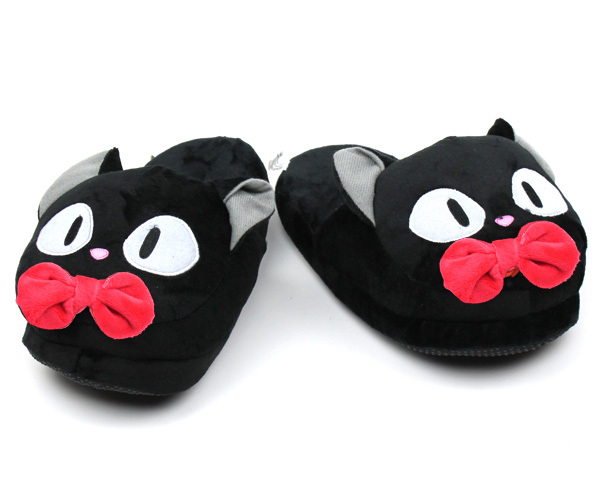 Any cartoon, cat, or anime lover will be thrilled with a pair of these black cat slippers on their feet! 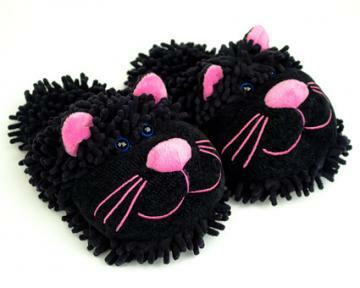 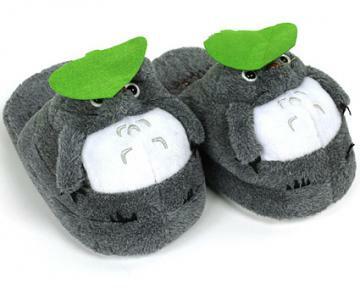 Jiji measures 11" in length and these slippers fit most adults up to a women's 10!